Should you pay for care if Continuing Healthcare funding has been refused? This is a very common question from families, and one that families often need more information about. The whole point of an NHS Continuing Healthcare assessment is to ascertain who is responsible for funding a person’s care, i.e. is it the NHS or is it the local authority. If it’s an NHS responsibility, i.e. a person’s care needs are primarily healthcare/nursing care needs, care fees for all assessed care needs will be paid by the NHS. If it’s a local authority responsibility, i.e. 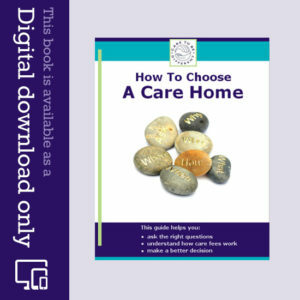 the care required is predominantly social care related to the activities of daily living (getting up in the morning, getting dressed and washed, preparing meals, and managing social aspects of daily life, including relationships, etc), the person needing care will be means tested. For a person with health needs, the NHS Continuing Healthcare assessment is therefore the FIRST step in the care fees decision making process. It is not, as many families are told, simply something that can be done ‘later on’, once a person has already started paying care fees. If a person’s health and care needs are such that they meet the eligibility criteria for NHS Continuing Healthcare funding, the NHS has a legal duty to fund care. No means testing should take place. If a person who meets the Continuing Healthcare funding criteria is told to pay for care by the local authority, those care fees will be illegal and the local authority will have put itself in an illegal position. This is because the care needs will be beyond the the legal limit for local authority care – this is the limit above which it is, by default, the NHS’s legal duty to pay. This was reinforced in the Coughlan case and is further reinforced in the Care Act. It’s clear then why a Continuing Healthcare assessment has to be the first stage of this whole process. It determines which side of that legal ‘line’ a person falls. These Continuing Healthcare assessments are carried out by the NHS, and they must, of course, be carried out properly for a reliable decision to be made. However, we hear from hundreds of families who report that assessors don’t always follow the assessment guidelines (the National Framework for NHS Continuing Healthcare), and who ignore case law, fail to acknowledge the full extent of health and care needs, wrongly exclude family members from the process, overlook vital evidence, and so on. When such blatant errors have occurred, it’s clear that no reliable decision about who pays can possibly have been made. If it had been clearly – and properly – shown that a person’s needs were below that legal limit or line – the divide between NHS and local authority care – then it would be correct for the person to be means tested by the local authority. If, however, the NHS and local authority decide the person must pay and yet there have been obvious flaws in the NHS Continuing Healthcare assessment and decision making process, the local authority risks acting illegally if it forces a person to pay for care that is the NHS’s legal responsibility. You may be told that it doesn’t matter if you start paying care fees because you can claim it back after an appeal. This borders on contempt for the person needing care, because they cannot ‘unsell’ their house or get back other investments once those assets have been taken in care fees. It can also take a long time to reclaim care fees. The local authority has a duty here to protect its own position. Until it has been clearly and properly shown that a person is not an NHS responsibility and that they do have to pay for their own care, the local authority should not take responsibility or carry out any means testing or take money from someone in care fees. In other words, if it’s not clear the local authority has a right to means test at that point, it shouldn’t do so! The only way to ascertain who is actually responsible for paying for care is for the NHS Continuing Healthcare assessment process to be carried out properly. So if your relative has been denied NHS Continuing Healthcare funding, and it’s clear that correct process wasn’t followed, that assessors have not followed the guidelines or case law, that the eligibility criteria have not been properly applied, that family representatives have been excluded from the process, that there are no proper assessment notes and/or that proper consent was not obtained to start with, etc. etc., the local authority could be acting illegally in means testing, because it could be taking responsibility for care that is beyond it’s own legal remit. No safe or reliable decision will have yet been reached about who is responsible for paying for care. So if you’ve been turned down for NHS Continuing Healthcare funding (or had it removed) and you want to appeal, it can sometimes help to make the local authority aware that you know about this legal limit – and that they must stay within it if they are to remain on the right side of the law. You may also find that the local authority can be an ally for you, in helping you secure care funding from NHS Continuing Healthcare budgets, rather than from local authority ones. In practice, when families are threatened with having their relatives evicted from care homes if they don’t start paying (and we hear many reports of this nature from families), a family may feel they just have to start paying for care during an NHS Continuing Healthcare appeal. Also, many families feel concerned that if the care provider doesn’t get paid, their relative’s care may be compromised. Those concerns are entirely understandable. Some families forward the invoices from the care provider to the NHS for payment during an appeal, on the basis that the assessment process has been flawed. In these kinds of situations, it’s important for the family to do what it feels most comfortable with, and if that means paying for care during an NHS Continuing Healthcare appeal, that’s a decision for the family to make. What’s your experience with this? I asked the Finance Dept of the local council to quote the rules to me (eg legislation) that says my relative must submit to a means test during the appeal. All they did was threaten me with legal action if we don’t either submit to a means test or pay the nursing home fees during the appeal…. How helpful of them. Not. Again, great practical info here. I have written in your blog before about my dad, his quick discharge from hospital with a single handed Decision Support Tool, gross downplay of medical evidence, non-existent Multidisciplinary Team discussion with no involvement of the family, subsequent non-eligibility decision made by a single discharge coordinator, with a promise of a review soon in the nursing home, which never happened in nine months. I have been onto NHS England London Region on the issue about who pays for care during an appeal when there are such blatant failings. The Head for Continuing Healthcare herself has cut and pasted in an email to me the National Framework Annex F Paragraph 15, to prove that dad has to pay while on appeal. Having read that in context, I believe there is no direct reference to money, and it is mainly there to regulate the relationship between Clinical Commissioning Group and Local Authority. Any views on this issue are greatly appreciated, as I would like to draft a factual reply. Many thanks for the beautiful job you do, and thank you to all who post here and provide a supporting hand. My mum broke her leg in three places in May, was admitted to a main hospital, had an operation to rod, pin and plate the tibia, fibula and distal end of femur, then got moved on a ‘step down’ bed to a local community hospital for rehabilitation, however, after two weeks we were told due to her non weight bearing condition she would have to go on another ‘step down’ bed, a care home with hoist facilities. The home she fell at didn’t have this facility. We were told that the hospital would find a care home within the options we had indicated at. They chose one we insisted we didn’t want her to go to! So we were informed they would look further around the county, we were on the first step refusal, and no other options would be available to us, just what they found in there budget, to stay in the community hospital bed we were informed it would cost £200 per day!! The hospital informed us they needed the bed ASAP, we the family informed that it was urgent to move her so we went out and found a home nursing who would assess and were certain they could offer the requirements. The step down bed co ordinator informed us that the NHS would only fund upto an amount, over that we would have to pay a ‘lifestyle’ top up. We felt we had no choice to ensure mum got a home to meet her needs and we were happy? We insisted on seeing mums notes under the LPA they resisted but we won, they did a checklist before she was moved and we were informed quite bluntly that mum had no chance in receiving Continuing Healthcare (CHC). So mum got moved to the nursing home, we paid the top up lifestyle fee. The Early Intervention nurse who has been periodically visiting during mum’s last 6 weeks did a further Checklist assessment and stated that mum had triggered the requirement for a Decision Support Tool (DST). She Informs us that the CCG will refuse CHC but we may get Funded Nursing Care. She has informed us also that the NHS funding will cease depending on her clinic appointment outcome. That was today and they have discharged mum to the physiotherapist. Please can you advise what we need to do now? 1. What is the process ? 2. Can we insist that NHS funding continues? 3. Will we have to find the full care home fees until we get a DST and a decision of either CHC or FNC? My father has just been turned down for Continuing Healthcare (CHC) after a fiasco full of maladministration and malpractice (particularly on the part of the assessor – no surprise there!). Both social workers present did not have a clue and mostly sat there nodding like the proverbial dog in the back of the car. One of the social workers said she was present as she had been asked to “sit in”. The discharge nurse was there because “it frees up the ward.” The bulk of the evidence came from…….. ME! At the end of the meeting I made it very clear that there would be NO financial assessment until the appeal has gone through the whole process. Headless chickens then ran around the room…… a discussion then followed between social wokers and discharge nurse about sharing costs and would we pay back (yeah)……….my father was delcared medically fit about 3 weeks ago……. he is still in hospital because the Local Authority (LA) & NHS are pointlessly arguing over who is going to pay for the care home during the appeal (I find this quite amusing)….. I said NHS must pay due to LA potentially putting themselves in an illegal position. I have said my father can stay in hospital (though it is actually costing the NHS more to do this). No one from the NHS CHC Team has come anywhere near me!! My father’s social worker has “done a runner”. I have also communicated with 2 LA Adult Care “managers” (I use the term very loosely) and neither seem to know anything about LA limits either; in fact I know much more than all they do!!! I don’t need to give them rope: they have their own. I have now had written confirmation in the form of a derisory letter full of inaccuracies….no copy of Decision Support Tool enclosed!! The summary, “on behalf of the CCG”, can only be described as pathetic. The summary for “Nature”, whilst it is 12 lines, is a joke! “Complexity” and “Intensity”- 3 lines for each; “Unpredictability” is just ONE line! Not bad for an 86 yr old in the advance stages of Parkinson’s………..
Hi, does anybody know what the next steps would be if my Mum who is currently in Hospital fails with a Continuing Healthcare application, she has been diagnosed as requiring 24hr EMI care. I understand the responsibility will then pass from the NHS to Social care, I’m unclear on whether she will be able to stay in hospital until we appeal the decision or we will be ‘forced’ to find her a place in the community whilst an appeal is ongoing? any support / advice will be appreciated. Regards, David. I am in the appeal process after my mum was denied funding and was deemed well enough to leave hospital and enter a care home. There have been many breaches of process and blatant under scoring on the domains of the DST. The NHS have refused to pay my mum’s care home fees and so did I and so understandably the care home issued an eviction notice. I managed to get this deferred for a month as we were appealing the CCG decision. This time quickly lapsed and we were back in the same position, but our appeal had been lodged so it was now down to the NHS to respond. They still have not done so nearly 4 months later, another breach of process! In the meantime I did a deal with the Local Authority that they would pay my mum’s care home fees until the appeal process was completed and would then be reimbursed by either us or the NHS depending on who lost. I’m sure this is not the correct procedure, but am very grateful to the LA who have been very supportive. Hope this helps. It’s encouraging to hear that the LA has been helpful with this issue, Ian. The local authority has refused to state what the legal limits that it can provide are. I can’t find any definitive definition of what they are. The LA signed up to a Decision Support Tool which said the majority of my mother’s needs were within the lawful limit, but refuses to state what the minority of needs which clearly are outside the limit are. That’s sounds extremely frustrating, John. There is no definitive list of specific care needs that would be social care and specific ones that would be healthcare, but the descriptions here may help: http://caretobedifferent.co.uk/difference-between-a-healthcare-need-and-a-social-care-need/ Also you could write to the Head of Adult Care at the local authority and question their potential legal position if they have failed to take proper account of all care needs when deciding that your mother’s needs are within their legal remit. the legal limit test of incidental and ancillary and of a nature the Local Authority (LA) can be expected to provide. 1. SAR all LA documentation and correspondence, e mails social care records. it is amazing what gets said in the background that they will deny to your face. 2. If they “accept” relative as social care, tell them she is coming home under ask for a Care Act assessment care at home although means tested will result in the LA paying the lions share I suspect. This may focus the mind. What a minefield this is. I had major lung surgery in Jan this year but after coming home my husband became violent. I was not getting any better and asked him to go into respite for two weeks. He then tried to slash his wrist and the home said he would have to go to a home that could cater for his needs. When the social worker got involved I was asked would he be self funding and was not told about Continuing Healthcare (CHC). The social worker told me that a financial assessment needed to be done. When I told her about that I had applied for CHC she replied that she knew nothing of this. We are not all baled to deal with all the complicated issues that we are faced with. I have a joint bank account with my husband and don’t know if I am allowed 50 per cent of this. I have not been told when I have to start paying for household expenses etc. This is the hardest thing that I have experienced in my life. All I get is about his needs what about mine. When you are ill yourself it is the hardest thing to cope with. It is creuel and so unkind that when you become elderly you are faced with all this. I applied for CHC back in March 2016 and have heard nothing yet. I have cashed in all my husbands savings and paying £900.00 a week so what is the point of saving all your life only to have it taken away in months. I take my hat off to anyone going through this. I have now contacted my MP to see if he can help me. Fingers crossed. Janet – the question about money that the social worker asked you is sadly very common – and wholly inappropriate before the Continuing Healthcare (CHC) assessment process has been carried out. Means testing and any questions about money are relevant ONLY after the CHC process is complete AND a CHC funding decision has been made. If that hasn’t yet happened, no one should be asking you or your husband for any payments. If your husband genuinely does have to pay for care, it is only his money that should be taken into account in any means test – not yours. This applies to join accounts as well – it would be only your husband’s share of any joint funds. The delay in the CHC decision in his case is quite unacceptable. You may want to contact NHS England and demand an Independent Review. NHS England will at this point say that you can’t have a review until the initial process is complete; however, if you also tell the local CCG you are requesting an Independent Review from NHS England, it may (possibly) motivate them to actually get on with things. It can be so frustrating. 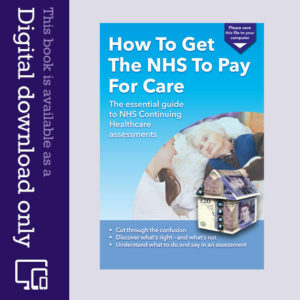 This may also help you: http://caretobedifferent.co.uk/paying-for-care-have-a-partner/ – but remember that ‘paying’ for care is only relevant AFTER the CHC process is complete. My mum has dementia and was in a care home. We applied for CHC and she scored highly on the DST and the recommendation was made that she should be found eligible. She was turned down by the panel as they said conflicting evidence had been submitted. They then decided a retrospective review was to be carried out -over two and a half years later, despite repeated requests, no decision has yet been made. After I complained to NHS officially, then ombudsman, I was told to wait for retrospective review but also a current assessment was required. Current assessment was rushed and we were bullied and they ignored myself and the care home worker’s recommendation that she be scored Severe for communication. They scored Moderate. She is Severe. We fought and got Severe for Cognition but they made sure she didn’t score highly enough. I am appealing. However last week she had a fall at care home and fractured her hip. She has had an operation and is in hospital. She has not recovered well to the op and can’t leave as yet. My brother has power of attorney and we have requested 3 times for a new CHC assessment as her needs have changed since the op. They have ignored all requests and even refused to write it down in her notes that we have requested this. The nurse said it is up to the doctor to decide if he wants to do it or not. They are trying to move her to another hospital for rehabilitation as they have said she is too ill to go back to the care home. They won’t tell us where this place is or when they think she should go. Any advice really appreciated. Hello and my apologies if this question has already been asked. My father moved from a hospital stay (after a fall) to a care home for Continuing Care Assessment. The MDT DST meeting is today and I wanted to ask at what point my father can be asked to pay the care home fees i.e. is it after today’s meeting (which we have been told is the case), after the CCG decision if that is negative or after an appeal, if the outcome is also negative? Many thanks for any advice you can give. Hi Chantal. In our article on Funded Nursing Care (FNC) we mention that FNC is paid directly to a nursing care home and, depending on how the care home contract is written, it may or may not lower the care fees paid by the individual. 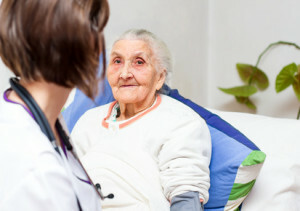 Here’s the article: http://caretobedifferent.co.uk/how-is-registered-nursing-care-contribution-rncc-assessed/ When a person secures full NHS Continuing Healthcare funding, and if a refund of care fees is also due to that person, the person should receive a refund of what they personally have paid out. The NHS should refund that full amount, regardless of FNC. It is usual to expect the NHS to return the patient to where they would have been if they had been funded in the first place. Compensation on top for wrongdoing is not considered necessary. The fact of your extra expenditure…. On lawyers, meetings, travel, paperwork printing, time etc. will be unlikely to be considered. Chris-G – my mum’s initial DST went to a MDT panel for a decision with a comment from the social worker (LA representative “Mrs X is a self funder I therefore recommend 50:50 funding”. How illegal is that?! The panel agreed with the recommendation but then one of the Senior Case Managers from the CHC commissioning group had a phone conversation with said Social Worker and said “I have reviewed Mrs X’s notes and I don’t believe her clinical needs to be that severe therefore I suggest 75% LA and 25% NHS”. When questioned by me said case manager argued that the 50:50 finding just meant shared funding between LA and NHS and it was up to themselves to decide the split. Again completely illegal and when i said to this particular case manager, who advertises herself as applying the National Framework Guidelines objectively in NHS CHC decisions, that I understood NHS CHC to be 100% for all assessed care needs or nothing. How’s that for unprofessional and illegal practice? It has continued and I’m sure is not finished yet but once my funding IS in place, I will have may day in court metaphorically speaking as I intend to have a meeting with the Director of the CCG and the heads of the CHC Services. I may also involve the local MP, depending on his loyalties. Not sure if I’m clear about your situation but if your loved one was getting CHC funding and a review was planned then if the home does not provide the necessary people you have a right to refuse the review. However, this depends on your position as to whether or not you have LPOA (lasting power of attorney) or if your loved one has been able to agree that you represent them. If, from what I am reading the loved one can’t due to cognitive issues then there should have been a mental capacity assessment before anything was carried out and an appropriate representative actioned. Sounds like you are up against the same unprofessional and illegal behaviour that I have witnessed and am still witnessing in my mums case. My advice would be get to know as much about the process as you can (if you haven’t already) , empower yourself and do not be afraid of saying NO or STOP to the very people who are incorrectly and inappropriately carrying out the assessments. A lot of the time they simply don’t know what the proceedures are that they should be following. I know it is both frustrating and emotionally draining but as my old man used to say “Don’t let the barstewards (you know what I mean) win”!! Cannot put everything hear as would be too identifiable and not in our interest as has to go further. Care home did not provide any member of nursing staff for CHC review last year, just a carer who knew nothing inc contents of file: ‘never seen it’. We have been denied ALL access to notes inc care plan, meds etc. Unsuitable venue where staff and residents were enjoying entertainmant. Final nail in coffin was carer turning to loved one and saying “Such a nice man, no trouble at all, aren’t you?” Loved one dutifully nods head at prompt (severe cognitive issues as well as physical problems). End of CHC and back to DST. Eventually, months later, DST meeting, still denied access to notes. SW has visited loved one several days before and done a care assessment without notifying family until afterwards. No nursing staff provided, just a carer. Overheard SW mentioning ‘fast track’ to the other SW present. CHC manager took lead, assessor took notes. Vigorously put down any health needs (they are multiple), ended up with 1 severe, 2 high, 5 moderate, 2 low and 1 no need (that was the ‘Other’ domain). Then asked SW to put forward reasoning whether loved one qualified for CHC. She was slowly working through it, CHC manager took over, and decided not qualified for CHC – no panel decision or anything. I stated we would appeal, was told to do so quickly, I mentioned 6 months allowed, was told to appeal quick as the “money may run out”. End of story. Haven’t had copy of any notes, am very worried, I feel that there is a genuine case. I feel very let down. Any opinions? Sounds like you have a good case based on flawed process alone, Jillie: failure to involve the family, evidence unavailable or ignored, deliberate attempts to play down care needs and cognitive state, assessors exceeding their powers and failing to send recommendation to panel, failure to send you copies of assessment notes, etc etc. This is in essence true but in another respect, if the accommodation in which one’s perhaps complex social care needs are met is not ancillary to providing the social care services then it becomes the NHS’s responsibility regardless of the nature of the needs. It was recently confirmed, (yet again for the benefit of the NHS), by a chair at an IRP that, If any need (social or medical) is of a Nature that is identified as a need and it is Intense and/or Unpredictable and/or Complex and/or displays a need for continuity of care, then any or all of those needs, described as social care above, might display a Primary health Need as much as a purely medical need. After all having a nurse put a stitch in and a band aid on a bloody scratch hardly constitutes a primary health need worthy of twelve months of CHC funding and accommodation; yet it is entirely a medical need that the social services could not legally provide. For example watching over a 25 year old paraplegic person, that can use a banana slide to get into their chair would alone, likely not count in any way as a Primary Health Need. Their accommodation would not likely be the NHS’s responsibility. Their care, in such a sad but nonetheless relatively simple circumstance, could likely be provided in the long term within their own adapted home. Now make that a bed bound 75 year old forgetful brain injury sufferer who has no balance faculty remaining, with arthritic hands and an infected left leg amputation and the need for the right leg to be removed soon due to pain caused by vascular failure and gangrene. Bearing in mind the opiate and other med’s for the pain and infections, the brain injury and the effects of the infection on an elderly brain; doing what was described above becomes a nightmare for patient and staff. Over simplified perhaps but It can only indicate that a Primary Health Need exists whereas the first example displayed that it did not exist. Yet to anyone reading a simple (perhaps deliberately minimised) extract within a DST, the circumstances when applied against the first description of the so called “Social Care Need” might appear to be very similar. It is also the case that the NHS has a legal duty to identify or refute the existence a Primary Health Need and not seek out the non existent and often irrelevant so called Social Care Need that does not actually feature within the process of deciding eligibility for CHC funding. The NHS spends too much time within each domain of the DST trying to minimise the needs and so disprove the Primary Health Need at every domain discussion. Comments such as “The majority of the evidence in this domain relates to daily living” is a classic phrase used to discard any evidence of a Primary Health Need that is within the domain. That is wrong. The Primary Health Needs test is required to be made at the end when applying all cross referenced domain evidence against the eligibility criteria. Even then the legal test of the LA’s ability to provide the care must also be made. Just making the point that the wording in the CHC process is full of these word traps that are often deliberately misused by the NHS to make their cases sound strong and so make the patient’s relatives pay up and stop appealing to their better nature….. They haven’t got one. My mother was assessed for CHC back in August 2014. Due process was NOT followed and I appealed. There was a lot of pressure put on me to “un block” the bed she was in at the local rehabilitation hospital. However, as she legally remained the responsibility of the NHS I refused and my mother’s DST was completed and she was found eligible for NHS CHC in the December. I then had to make a decision on whether I established my mum at home with live in care as she wanted or waited for the budget to be agreed with her remaining in the hospital OR having interim care supplied by the NHS which was offered by the CCG at the time. However I pushed and received a written agreement that any costs incurred by myself would be fully refunded once the budget was agreed so I took mum home. I still haven’t had my personal budget agreed so I am still funding my mother’s care, thankfully I can do so. The whole concept of “patient centred care” seems a farce to me. I’m sure there are some CCG’s that are better than others. However, I believe you do at times have to follow your heart, as I did when taking mum home, this can extend the process as there is a reduced pressure on the CCG. In my case it did allow me to implement the care mum needed through the agencies I felt were appropriate rather than having agencies foisted onto me by the CCG BUT it has, without a doubt, extended the period of negotiation and has cost myself and my husband a great deal so far. I believe that your strength is in your Knowledge and in turn this gives you power. As long as you are completely aware of the consequences of your actions AND prepared for a long fight, you will succeed in the end. The law is after all on your side. My mother IS eligible for NHS CHC; she was reviewed after three months and it has been agreed for a further twelve months. There IS NO limit on budgets as it is the CARE that is important so I am sure we will prevail. You are correct: It takes time and nerve. People often succeed if they have a good argument to put and keep at it. You say that perhaps some CCG’s are better than others. Our local CCG uses a Commissioning Support Unit (CSU), that covers over 10% of England’s population. For around two years, the CSU have been making the eligibility decisions illegally for their large numbers of CCG’s. The CSU (after many challenges), has trumpeted, (and just published it on the internet), a new initiative that seems to accept that what was being done previously was wrong and now everything is fine because they have researched a better way of doing it. Talk about cynical. I still have not had any answer as to what they will do about two years of CHC funding decisions that were made by the wrong people at the wrong organisation. It is the case that a CCG cannot delegate it’s decision making function…. it has a legal duty to do it themselves. Even using the new method a CCG is still not making the eligibility decision….. All it is doing is looking at the recommendation (no longer a decision), of a CSU/LA panel that has looked at the recommendation of the MDT. Then the CCG whilst using only the panel recommendation and the DST recommendation page (and a funding authority/denial form completed by the CSU), they supposedly comply with law and make the decision. In short all that a CCG is doing now, is rubber stamping the work of the wrong body whilst retaining a right of veto. That is not using “a completed decision support tool to inform the decision”, (as the Framework and law states and requires), at all. There is oh so much more to this. I withheld payment to the nursing home and they promptly got on to the Office of the Public Guardian. The OPG forced me to account for virtually every payment that left my mum’s account for the 5 years that I had been Power of Attorney. They also made me go to the Court of Protection in respect of an annual gift that had been in effect prior to Alzheimers diagnosis. This was a massive task on top of fighting the NHS. I got through it (just) but wouldn’t wish it on anyone else. I still ended up paying the care home arrears and feeling very bitter about it all. I am still withholding payment (again), after more than two years for two relatives. Perhaps the fact that we never sought LPA’s and that we argue in a best interest capacity, has allowed us to continue in this way. The OPG cannot get to us. This is the second time that we have done so. Our LA pays the fees and recharges, then demands payment from us. We are awaiting the LA’s threats of court action to come to fruition in one case and awaiting the latest (of three) CHC Independent Review Panel recommendation for the other. The LA has been warned that the procedures used to remove CHC funding were unlawful and to go ahead with a court case. We would require the NHS to be present and we could then play out a type of CHC appeal in front of a Judge and not just a so called independent panel. It is also the case that we consider it better to use our loved one’s savings to protect them against unwarranted and illegal demands to pay for what is very obviously healthcare when the needs are compared against those of Pamela Coughlan, whose case started this. I wish you luck and best wishes. We could have done with this 3 years ago. We believe that the NHS, Social Services and Local council illegally conspired to deny my sister in law proper funding help in 2012. She was diagnosed with Huntington’s Chorea in 2000 and she knew she was going to die from complications due to it. She couldn’t stand. She was very subdued which is part of the illness but the Social services just said that she stayed calm. She was zoned out a lot of the time and they said she was just watching other residents. They refused to send her to a specialist care home which mainly had Huntington’s patients. I could say a lot of other things about those responsible but i don’t want your site to be shut down. The care home manager showed how much they cared about her. We were with her when she died and about 2 minutes after she died the care home manager came into her room to ask her how she was even though she said the wrong name. The manager went red faced and walked out without apologising. 5 minutes later she came back and handed me an envelope. We have refused to pay it and told them and the Social services and especially the council where to go. It all sounds so wrong and I bet the sadness is exacerbated by the way that the authorities have acted. I don’t know the financial side of this but if it is a significant sum, would a “fixed cost” visit to a “proper” lawyer, (not just a TV no win no fee type), be beneficial? I was pleasantly surprised recently at the attention of two solicitors (one did not charge but still advised), and a Barrister who will give a legal opinion regrading an associated matter. One of the solicitors advised me to contact a particular lawyer that had been her tutor as she had greater experience in NHS CHC matters. Our first step is to obtain all of the medical records of our loved one. Then the Barrister will look at the law and what was done to decide if a court action should start. The matter will also have a bearing on NHS CHC funding. We were told that in the past the NHS were a little wary of going all the way if the costs looked to be massive. The Barrister stated that they had become far more aggressive in regard to NHS CHC matters recently. I surmised that the NHS do not want to lose another case like Pamela Coughlan’s in 1999. Nor do they want anyone winning on the court house steps (as it were). Because social media makes such matters and outcomes just as easily available to the public as the recording of a full blown court case used to.